The sub-€100 price segment is of particular importance in emerging markets. 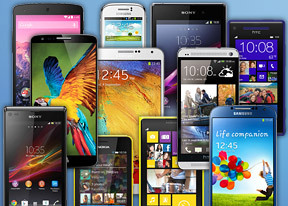 Dominated by low-cost feature phones in past years, it has also been swept up into the Android maelstrom. The cheapest droids can now be had for as little as €50, and oftentimes even less if brand recognition is not critical for you. That said, we've excluded brands that are only regionally available. Windows Phone is going strong in this category, and Microsoft's great deal on the Nokia Lumia 520 continues to be one of the best offers on the table, particularly if you live in the US. Dual-SIM phones are still very popular in markets where carriers keep prices high and the sub-€100 category will be of particular interest to people in those locations. Android clearly has the upper hand, although the Windows Phone 8.1 update slated for later this year adds dual-SIM support. We're likely still a ways away from seeing an affordable dual-SIM Lumia. 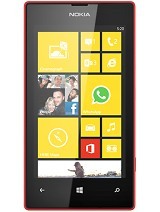 Nevertheless, the cheapest smartphone on offer is the aforementioned Lumia 520. This title used to belong to the now discontinued LG Optimus L3, but even then the 4" WVGA screen and dual-core Krait CPU with 5MP 720p shooter was unbeatable for the price. Add free offline navigation (single country), free Nokia Mix Radio streaming (with offline buffering) and a free Office suite, and you get the perfect budget phone for people on the go. Note that in the US, the Lumia 520 can be had dirt cheap from the Microsoft store (off contract but locked to AT&T). It's pricier in Europe, but a recent discount moved it from the €100- €200 bracket to the sub- €100 category. As for the cheapest droid, that honor belongs to the Samsung Galaxy Star. Although it has a smaller and lower-resolution display compared to the likes of the Alcatel One Touch T'Pop, the Samsung Galaxy Star features double the RAM and 4GB of internal memory, meaning a microSD card is no longer critical to proper use. Also, the Star runs on Android 4.1.2 though on this dated hardware it's arguable whether that's an advantage performance-wise over the older Android Gingerbread. Feature phones will never get Snapchat or the next blockbuster app, which is the primary reason smartphones have had such a huge impact. If you've never had a smartphone, something like the Samsung Galaxy Star can open your eyes to new uses for your phone, without a big investment. Alcatel traditionally has a prominent spot in our sub-€100 category and the dual-SIM One Touch S'Pop is a prime example. It narrowly beats out the Samsung Galaxy Young Duos, having less RAM but a front-facing camera and larger battery. More importantly, it's also priced cheaper - by as much as €30 from some retailers. The senior-most member of Alcatel's Pop family makes another appearance in our budget category as one of the more capable dual-SIM devices in this price range. Its robust screen lets it beat out the likes of the Samsung Galaxy Fame Duos and Sony Xperia E Dual, despite the latter getting a significant price cut since our last guide. The One Touch M'Pop bears many similarities to the Lumia 520 with one key difference - the chipset is much weaker (single-core Cortex-A9 CPU, PowerVR SGX531, basically an iPhone 3GS-grade chipset). 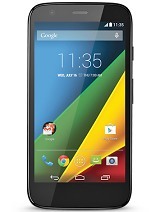 The upside is a decent 4" WVGA (480 x 800) display, Android 4.1 Jelly Bean and 5MP camera capable of 720p video recording. Keep in mind you don't get free SatNav, the chipset is lower grade and it only has 4GB of built-in storage rather than 8GB (there's a microSD card slot though). Finally, one rather surprising addition to the sub-€100 segment is last years' darling of price-conscious Android fans, the Motorola Moto G. The device was a huge success thanks in large part to its unbeatable price, so much so that the 16GB version sold much better than its 8GB counterpart. Many US retailers appear to have a surplus of the latter model, and are unloading stock at incredibly low prices - as low as $99 for an unlocked model! One important caveat is that you'll find yourself running low on internal memory fairly quickly with less than 8GB to spare after the OS has had its say, but the killer specs sheet make it too good an offer not to mention. A 4.5-inch 720p display with Gorilla Glass 3, 1GB of RAM, 5MP/1.3MP camera combo, quad-core 1.2GHz Snapdragon 400 CPU, and, of course, Android 4.4 KitKat and the fact that it will be among the first in line for future OS updates.